Read Kelsi's Review of Gauguin: Voyage to Tahiti. French artist Paul Gauguin (1848-1903) was an innovator of modern art, known for experimenting with bold color and distorted proportions, along with his contemporaries Vincent van Gogh and Paul Cézanne. By 1891, Gauguin was already well-known in artistic circles, but had grown tired of the civilized world and its political and moral conventions. Leaving his wife and children behind, he ventures alone to Tahiti, consumed with a yearning for new inspiration. Pushing deep into the Tahitian jungle, Gauguin meets Tehura, his muse, who will consume his mind and inspire his most iconic works of art. Gauguin: Voyage to Tahiti is in select theaters on July 20th, 2018. Gauguin was a very well written French film by screen writer and director Edouard Deluc. It explored the life of a well-known artist who was no longer happy with the life he was living. 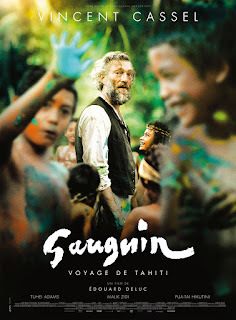 Artist Paul Gauguin (Vincent Cassel) was tired of the same old civilized world he had been exposed to for so long. He wished to explore the depths of the unknown that he’d always dreamed of. Gauguin’s first destination was the Tahitian jungle. In hopes that his wife and family would travel with him, he quickly gathered them together and packed his things. Little did he know though, they wouldn’t be coming along. After leaving his wife and kids back in France, he quickly meets a girl who’s less than half his age. Deep in the Tahitian jungle he soon weds Tahura (Adams). Tahura, young and ready to spend her life with Gauguin in the moment, later realizes that this might not be what she truly wants. With Tahura as Gauguin’s muse, he creates some of the best art he has ever done. Growing a part though, Tahura becomes distant in their relationship and begins to seek happiness elsewhere. As you may expect, Gauguin is not too keen about this. Through poverty, chronic health issues, and having had two wives who soon wanted nothing to do with him, Gauguin realizes it’s time to go back home. With Gauguin’s new beginnings, new muses, and his high hopes, all we really begin to notice is his overwhelming selfishness throughout the movie. I thought this film was very relaxing. It was easy to watch as you listened to the sound of waves crashing upon shore. There was very little talking going on and when there was it was all in French. Based on the lack of conversation, you mainly had to understand this film from your own point of view. Depicting the emotions as you felt they were being portrayed; you are forced to come to conclusions on your own. For some, this can make movies more intriguing and mysterious. Leaving you curious as to what the characters are really thinking within the film. This is definitely not a movie the younger generations are going to find interesting. There is really no action or drama, but rather the exploration of an artist’s failed adventure. 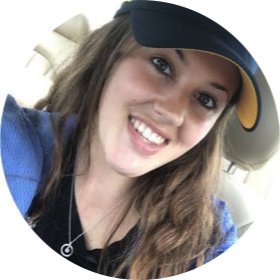 Kelsi (Contributor) raised in Toledo and has been an avid moviegoer since she was little. In her down time you can always find her outdoors enjoying nature or catching up on the latest Netflix series! She’s a huge fan of thrillers, horrors, and comedies. Click Here to check out Kelsi's Articles.